The SK-200-GR SKED Basic Rescue System original and still the best rescue stretcher for confined space, high angle or technical rescue, and traditional land based applications. The SKED stretcher is a revolutionary design which provides outstanding patient protection and security. The SKED SK-200-GRcomes equipped for horizontal hoisting by helicopter or vertical hoisting in caves or industrial confined spaces. When the patient is packaged the stretcher becomes rigid. The durable plastic provides protection for the patient while allowing extrication through the most demanding confined spaces. The stretcher is rolled for storage in a tough cordura backpack which is included with the system. 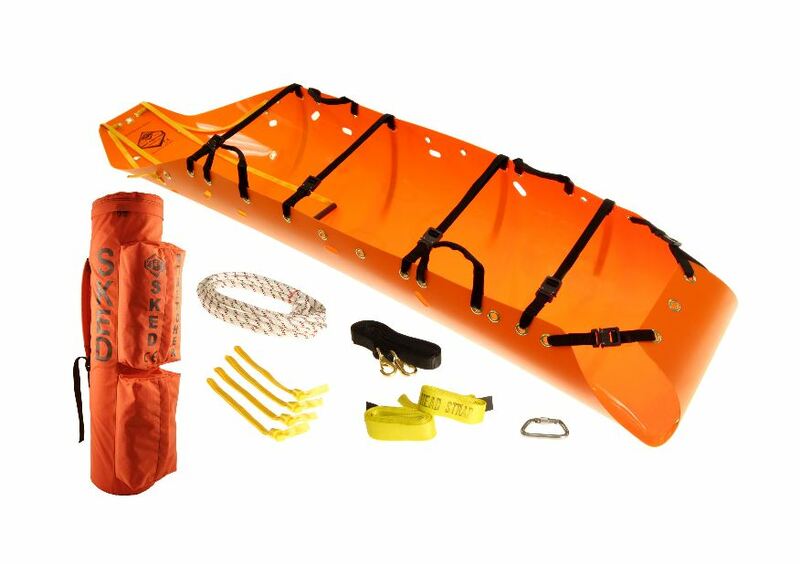 The complete rescue system ships at 17 lbs and comes complete for most applications. Also available in Orange for Civilian use.